This year, we made a goal with regards to our savings, for the past few years we were not that keen in our savings and I regretted that (much). I don’t want to repeat the same mistake this year, that is why I made a savings goal. Twenty percent of our income should be in our savings (that is what I want at first) but since I am spending for my father’s medicines and doctor’s expenses I cannot afford the twenty percent yet. It’s okay for us as long as there is some penny going to that savings basket. My plan is to invest it someday and make it grow. I just don’t know yet where and what to invest, am currently reading some investment tips in the internet and checking some food cart franchise but no definite plans yet. 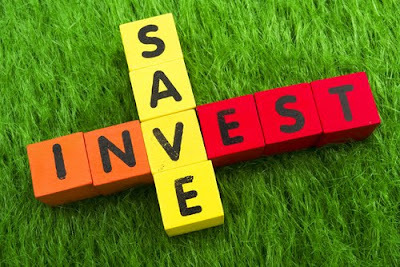 Investing can be risky and of course nobody wants to lose their hard earned (saved) money in just a blink of an eye. You can read more here about penny stocks if you are into stocks exchange which is a kind of investment too. I really want to be financially free and able someday soon and I don’t think I’ll be in the near future if I will just depend on our monthly salaries. Thank God for the people who motivates me to really save and invest. Before, I spend every cent but I’ve learned my lesson now. Income minus tithes minus savings= money left to spend. That’s the formula I’m doing and I hope I’ll stick to it forever. Just set your plan and then do it. You'll be surprised how fast it builds up.